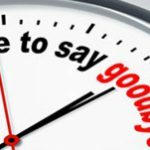 There is no doubt that it is always hard to say good bye but as certain as is the pain in departure the inevitable must happen and the time has come for me to leave the Chamber. As I sit here at my computer trying to put into words how I feel about leaving this amazing organization, a song is softly playing in the background, the lyrics repeating, “Making memories with you” and it struck me that is exactly what I take with me after 30 years at the Redlands Chamber. Thirty years of extraordinary friendships, thirty years of fun and laughter, thirty years of tears and sorrow, but thirty years of the most magnificent memories that one could ever hope for. I have had the privilege of working with amazing people over the years who have taught me much, helped me to grow and filled my life beyond description. There have been great events and games, innovative ideas and creative agendas, all brought to fruition by amazing volunteers. There were silly times filled with laughter, and serious times where tears came easily. And every memory will be treasured forever. As the Orange Drops on New Year’s Eve in downtown Redlands this year it will be a bitter sweet moment for me as that will be my last official duty with the Chamber. The very next day I will join the ranks of retired boomers, taking yoga classes, playing pickle ball, and bocce ball, and finding my new normal. And so to all of you… my new friends… my not so new friends… my young friends…. and my not so young friends, thank you, for all you have done, for all you have given me and for all those wonderful memories…this is not good-bye as that’s too hard to say… instead I’ll simple say “I’ll see you soon”.